See scan - perfect condition. This is an absolutely scarce and rare Bulgarian Ministry of Foreign Affairs Merit medal awarded to staff with above 25 years of perfect service to the foreign Diplomatic Corps in Bulgaria. 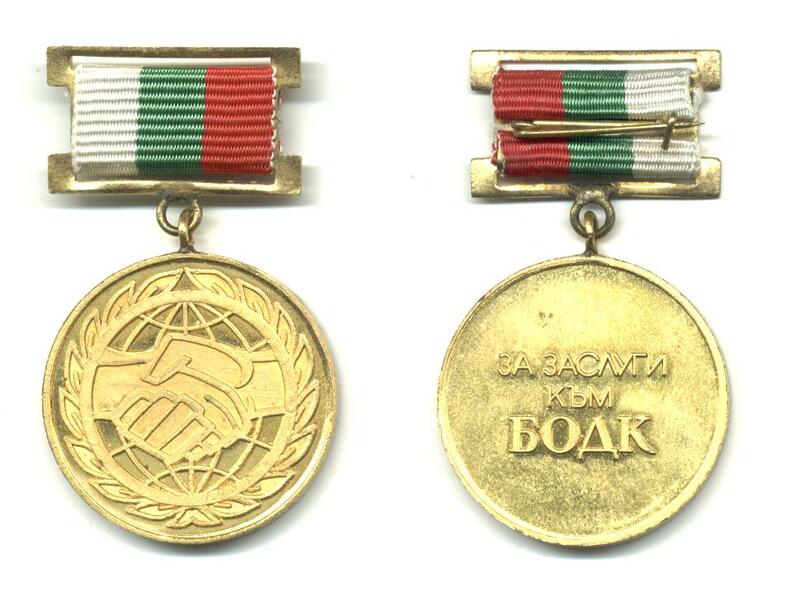 The special department to the Foreign Ministry has an abbreviation of BODK that stands for Bureau for Service of the Diplomatic Corps in Bulgarian. The medal has 2 shaking hands at obverse and text FOR MERIT TO BODK at reverse. So far this is the first such piece we've had for sale. Scarce collector piece and one of the rare modern socialist / communist era Bulgarian medals.